Another popular fairytale has been brought to life on the reels in the second leg of the Fairytale Legends Trilogy. 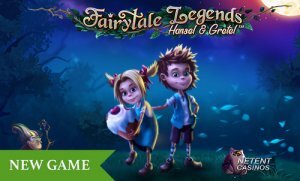 It was in October that the Fairytale Legends: Red Riding Hood™ video slot was launched as the first part of the slot trilogy and from today, players can also enjoy the Fairytale Legends: Hansel and Gretel™ video slot. 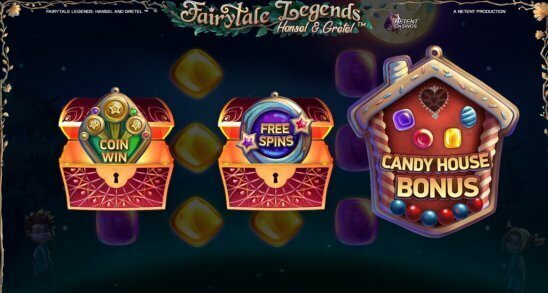 Both of the enchanting slots have a lot in common so keep on reading and find out what these two enchanting games are all about. Often starting with “Once upon a time”, and ending with “and they lived happily ever after”, fairytales are easy to recognise. At least, when told as a story, but how do you bring a fairytale to the reels without losing the exact story? 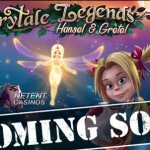 Well, leave that up to NetEnt as the company has a reputation for developing original themed slot games telling a story or educate about history. No matter what theme you give NetEnt, they’ll always manage to deliver a story or some historical facts through high-quality symbols and bonus rounds. It was last year, that the NetEnt Rocks™ trilogy was launched including Guns N’ Roses™, Jimi Hendrix™, and Motorhead™, a perfect example of what NetEnt is capable of. No software developer in the iGaming industry could have done a better job with these three rocking video slots with two of them bringing some of the best Rock artists back to life. Capable of doing that, it’s no surprise that NetEnt managed to bring the Red Riding Hood and Hansel and Gretel fairytale to life on the reels. Less rocking, but definitely as enchanting as can be, you’ll be drawn into a world that doesn’t exist. A fairytale can be about goblins, trolls, and giants, but Red Riding Hood does bring a fearless blond girl with a red hood and a talking animal, the Big Bad Wolf as seen in other fairytales as well. Hansel and Gretel is telling the story of two brave children, a wicked stepmother and witch. The good and the evil are two important elements of a classic fairytale and a fairytale-themed video slot. 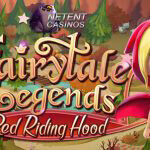 Now two of the Fairytale Legends slots are available at the NetEnt Casinos, I can tell you more about the differences between the two enchanting video slots. Wel, we know that one is about Red Riding Hood and the Big Bad Wolf, and the other about Hansel and Gretel, the Candy House and the Wicked witch, but what about the video slots themselves? 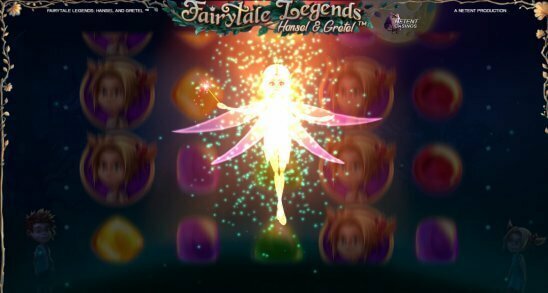 The two Fairytale Legends video slots have a lot in common and one of the elements typical for this NetEnt Trilogy is the luminous fairy. 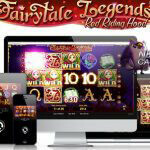 Whether this fairytale has a role to play in the classic fairytales or not, the fairy does have an important task in both Fairytale Legends slots, being responsible for the activation of the Random features. 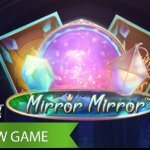 As you can see, Random features are very similar in both of the slot games and I’m sure this will also be the case in the third, and last, part of the Fairytale Legends Trilogy. Both of the magic-filled video slots will take you into the deepest, darkest woods where the adventure will take place. Evil, no matter if a wolf or witch, can be hidden behind every tree or house. 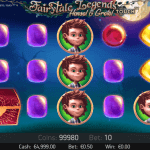 You’re about to enjoy a thrilling game packed with slot features and wrapped in a stunning NetEnt visual production, featuring a series of beautiful animations that bring two classic fairytales to life. The third and final instalment of the Fairytale Legends series will be released later this year and I’m sure it’ll be another enchanting story told through incredible graphics and animations! Bring it!